Tonka Tinys are Fun for Kids! *Disclaimer - I received the products in this post from Funrise, in order to facilitate this review. Are you looking for a great toy this summer for your son(s) to play with? Our three-year-old son loves to play with Tonka trucks, so I know he's going to love to play with this Tonka Tinys Tune-Up Garage Playset, from Funrise! This will give him hours of play time where he can use his imagination and pretend he's working on trucks! I just love how great the products are that they come out with for kids nowadays. My husband is a self-employed contractor and he also enjoys fixing vehicles as needed, so this is a neat concept to teach our toddler that he can be like daddy, just with his new playset! 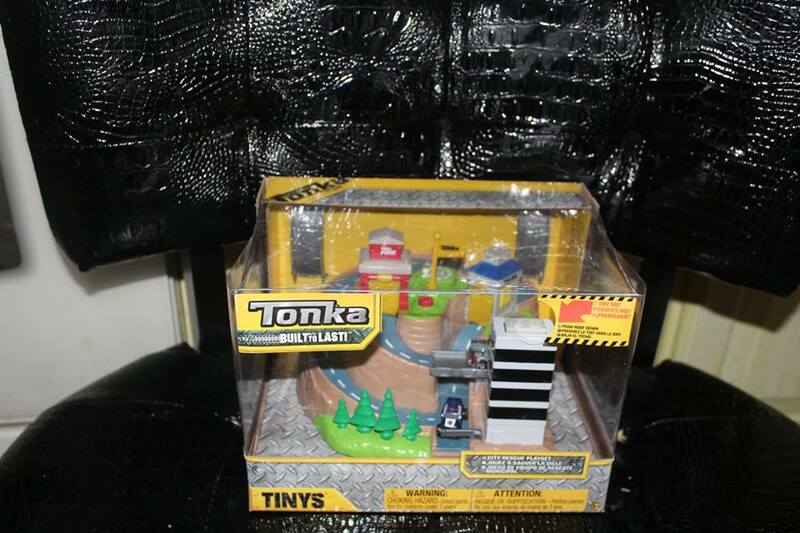 We also got this other playset below that is part of the Tonka Tinys too! He and his brother will enjoy playing with these sets together I'm quite sure, and his younger sister as she gets older I'm sure. Tonka Tinys are great for ages 3 and above since they do have small parts in the toys.